Hi! I want to present a great application that I've developed. 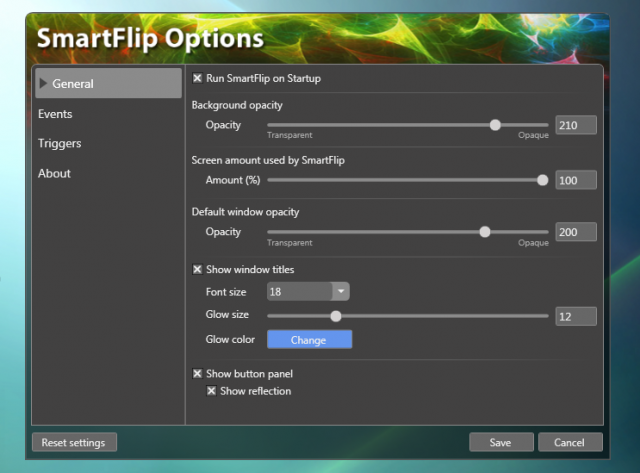 SmartFlip is a replacement for the Flip3D function in Windows Vista. appears when you press Win+TAB) or a screen region (for example, the left corner). the same program) with the active one (which has focus). Another important thing is that you can fully customize SmartFlip. Notice that this is a "beta" version and it may contain bugs. If you find one, or have any suggestions, please post it here. You can find a small documentation in the zip file that comes attached to this post. You can improve a little the drawing speed if you set the background opacity to 255. I don't have vista on my PC anymore, since atm I want all my HDD space for XP, although when I do get vista when it comes out, this may well be one of the first things I download and install. Works great! 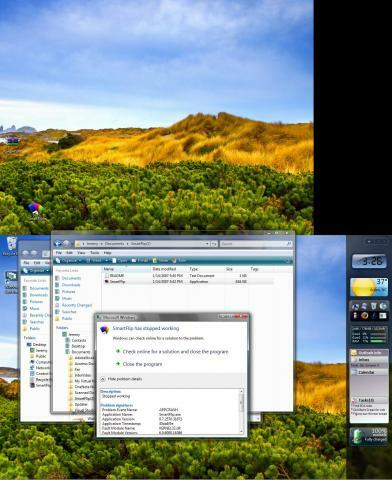 2 things: it doesn't find Remote Desktop Connection program, while Vista's flip does (EDIT: it won't find minimized Windows). There is some delay when I first try to rotate windows. Other than that, excellent! Flip3D doesn't finds it either :p.
Edit: I updated the application. Now it blocks any key press when it's running. So it prevents you from starting, lets say, Explorer when you replaced Flip3D. 1) It's really really slow if I turn on the "Show window titles" option, and "animate on show" doesn't really work, just adds a delay it seems. 2) There's no option to show the desktop window in the list, as Flip / Flip3D do. needs a good graphics card. Probably you graphics card is not powerfull enough. DWM API it's too slow too update so many window. 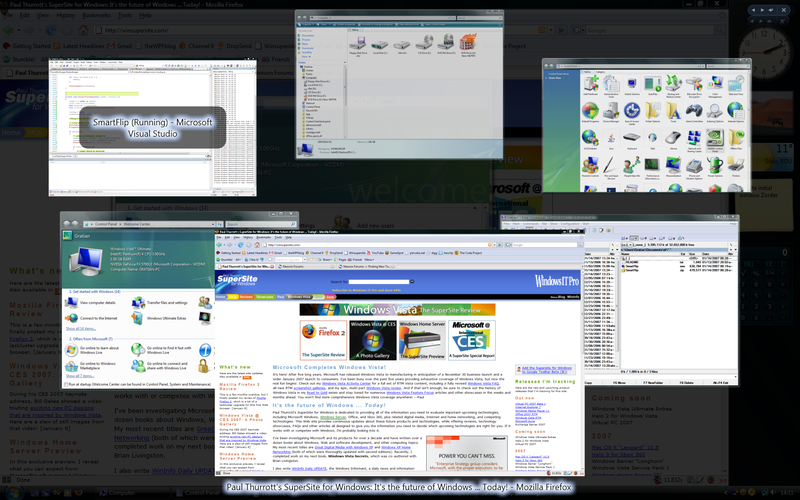 Until the final version (probably one week after Vista ships), I will provide a feature to display the desktop icon too. In the current version it's maximized, but i'm going to modify it. Well, my graphics cards is a 7800GTX... so I kind of doubt that is the problem :) Could be a performance interaction with something else I'm running, hard to say without knowing what your code is doing. Well, the 2D thing could change at some point, who knows. As for performance, that could be a matter of how you're using the API. Unfortunately there is no managed code interface so if you're using WPF it might take some work to get the best performance out of it with WPF (especially since it's an HWND-based mechanism). 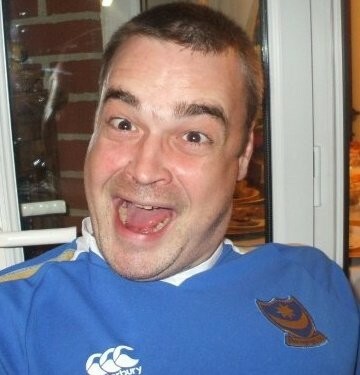 Oh - and I forgot to ask... Any plans to release the source? I really hope they will make the 3D API public. The window updating it's not slowed by WPF. At the beginnig, I made the same sample application in Win32 and in WPF. I haven't notice any difference in update speed, so I moved foreward with the WPF implementation. If you have other suggestions, please let me know :) . Man, best Windows program ever seen! Overall, it looks really nice. I'm running it on my Thinkpad T43 and it seems really smooth. I really like the ability to scroll through windows created by the current app. When working with Matlab, I often end up with many figure windows, which can be a pain to sort through. The only problem I'm having is that I can't seem to scroll through the windows using tab or shift-tab. I can right click on windows to zoom them, but tab seems to do nothing. Am I do something stupid? If you can do this.. is there anything stopping you from creating a fully hardware accelerated expose?...??....? Hey i downloaded it but when i try to open the program... it just shuts down even before it starts. Windows say it does not work... do i need to run this program with some other one or what. maybe it does matter resp. it has a bug related to dual monitor displays. have you ever tried to run it without the second monitor activated? This is awsome can't wait to try it out when I install Vista this weekend. Not workin so hot on my laptop with ATI graphics...very slow.